I love picking up bargain beauty products as it gives me the opportunity to indulge my penchant for beauty, try out something new and not feel ultra guilty about overspending. But there is a good lesson here, even small purchases bought in a high enough quantity can really start to add up over time! Anyway, I'll worry about that later! Lets just have a nosey at some of the things I've been buying recently shall we! Well, there's nothing ridiculously exciting to see here! I do like using a face wipe or baby wipe to remove the bulk of my face makeup but I always go in with a separate eye makeup remover and then wash or cleanse my face with a proper cleanser / face wash afterwards. Those cotton pads were quite good value and they seem to be really good quality too! I am really looking forward to trying that Azure Spa cloth face mask though! I can see it being featured in a Face Mask Friday post soon! I really wish I'd had these little shampoo and conditioner sachets when I went on holiday a couple of months ago and had no room left in my suitcase to pack any conditioner! Still, at least next time I will be prepared! Oh come on, at £0.69 who would be able to resist!? And finally, these little bits are all super useful! The shower caps are great for when I leave in a hair treatment overnight like coconut oil or for when I put a toner on my hair and let it develop. The travel pots have a multitude of purposes. I like to put some hand cream in one to pop in my bag rather than carrying around a massive tube! The hand sanitiser is super dinky and should keep my hands germ free when soap and water is no where to be found! 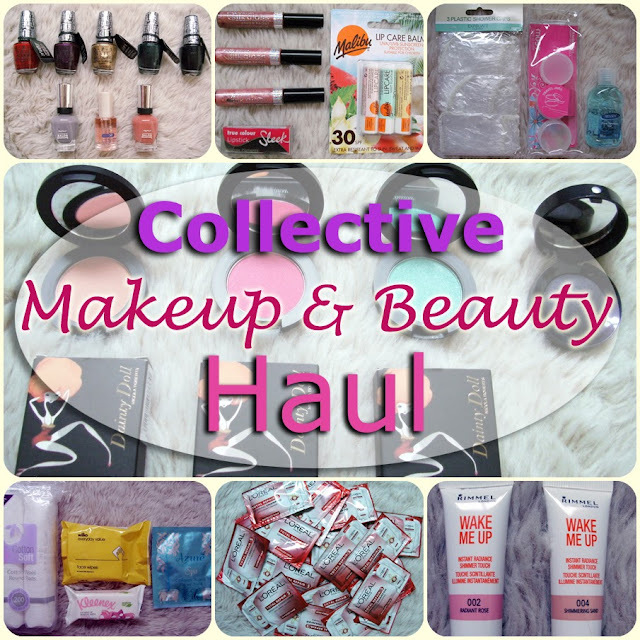 That's it for this haul, but beware there may be another one coming along soon... Eeek!